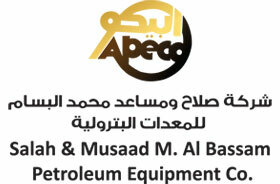 Al-Bassam Petroleum Equipment Company (APECO) ranks as the earliest among Al-Bassam Group of companies. Ever since it was established, it has been remarkably noticed as the basic unit for the activities that constitute the aggregate dealings of Al-Bassam Group for almost 50 years of successful achievements. The activities of APECO are mainly confined to the Supply & Installation of equipment to Oil & Gas Industry. A brief review of history of the company reveals that besides the drilling & production equipment, the company also provides equipment in the field of Production, Refining & Transportation.